Oh my god, this movie rules. I actually felt really bad watching this movie, in a way I usually don’t. I felt a really strong sense of anxiety around every Jaeger and crew because I wanted them all to live and I felt like it was likely they wouldn’t. I wanted the dog to live. I wanted Mako to do well. I wanted the Kaiju to just, you know, stop, and go away a bit, please, take it easy, and they didn’t and they wouldn’t. The movie is so utterly, ridiculously obvious – Fox kept pointing out how dumb it was, in a good way. This movie would pronounce the B in ‘unsubtle,’ so resistant is it to hiding things. There’s this term you might hear used describing Star Wars names like Skywalker and Han Solo – they’re often called load-bearing names, where the name itself is meant to support the entire archetype of the character. It’s not even that the names translate into something clever or meaningful, it’s that the names themselves carry a sort of spoken weight. 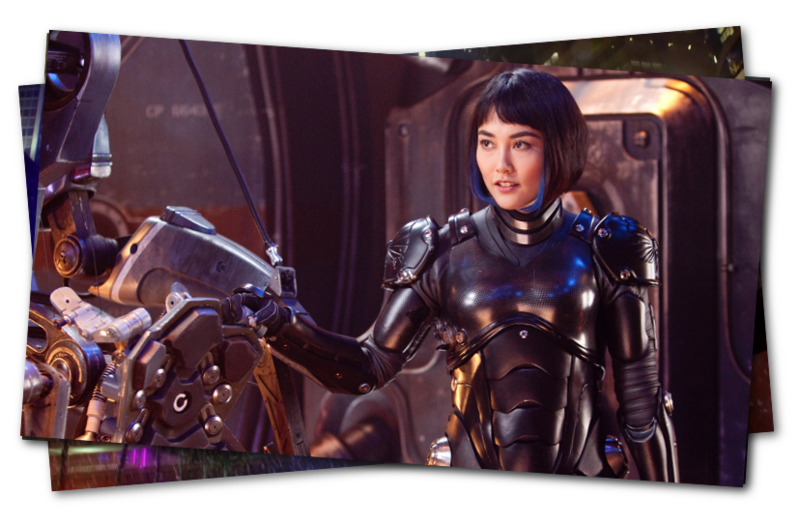 The names in Pacific Rim are fantastic examples of load-bearing names. Just listen to how they’re structured. Lots of these names have a hard percussive stop – a b, d, k, t, or p – in the middle of the name, something for the rest of the name to slide off. This is even through to the objects – the t in Coyote Tango is muted, but the T in Tango is emphasised, so even that name has that same build-up-slough-off. It’s even in the name of the ShatterDome, a whole culture of camel-cased concepts, which also makes them really shoutable. Yet while I might sometimes groan about how obviously signalling the names are in Star Wars, in Pacific Rim, they’re being used like handles, because the story knows it’s got no time to spend showing you what’s what. It’s got to cover the full arc of a three-movie series in one and it’s going to do it with a supporting cast of dozens of characters, many of whom are fleshed out in concept but won’t have time to demonstrate on screen. Typically speaking if you stuff a narrative tight as a drum, a character can do their arc in three scenes – introduction, complication, resolution. Some of these characters don’t really get one and they still get to show who they are. The whole world has this grungy materiality that wonderfully hides the artificiality of the world. 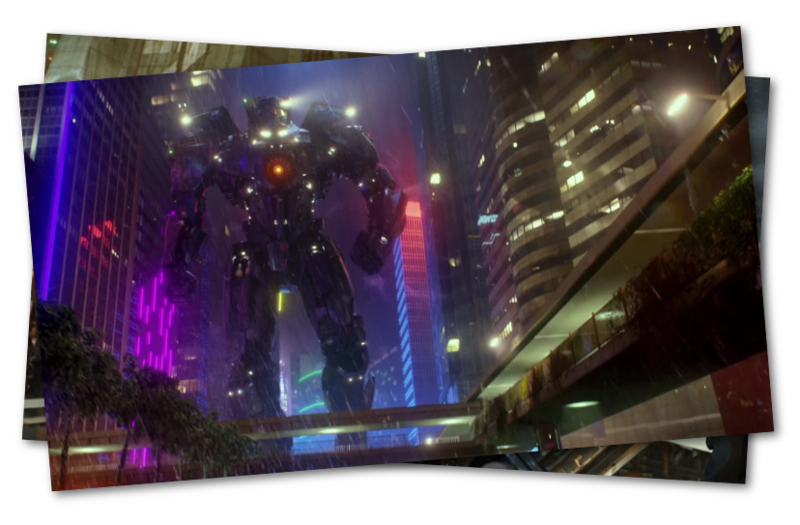 As an example there’s a point where a Jaeger (look, there’s that stop in the middle) is described as being made of ‘pure titanium,’ which any engineer will tell you is a bad idea, because no matter how strong a metal is, an alloy of that metal will be stronger. Even strongininum, the strongest strong stuff there is, because that’s how metals work. There’s no way to pick up a tanker, they aren’t held together like that, they’re not made so you can tilt them up on one end or even leave them on the ground for terribly long. You honestly can’t even wade in the ocean if you’re tall enough to stand out of the top of it, the footing for an object that tries would just be too fundamentally unstable with the way stand and water conspire to keep the ocean floor turbulent, and the top layer of the water is moving both at a different pace and a different direction to the bottom layers. Yet you don’t need that stuff to make sense in this wonderful bonkers beat-fest because it’s not a story about how things are it’s a story about how things feel. The great big brain in a jar can telepathically communicate with the Anteverse and the heroes can fist-fight at a hundred meters tall despite the distances involved involved being so vast that punches would reach a terminal velocity in a much smaller distance. The constraints of our world mean that ‘giant things’ don’t work the way human things work, but because this is a story about feelings it doesn’t flipping matter, and there’s never any attempt to actually justify that. Drift isn’t there to explain how these big stupid robots work, Drift is there to give you a reason to have a built-in narrative reflection of the emotional realities of the story! 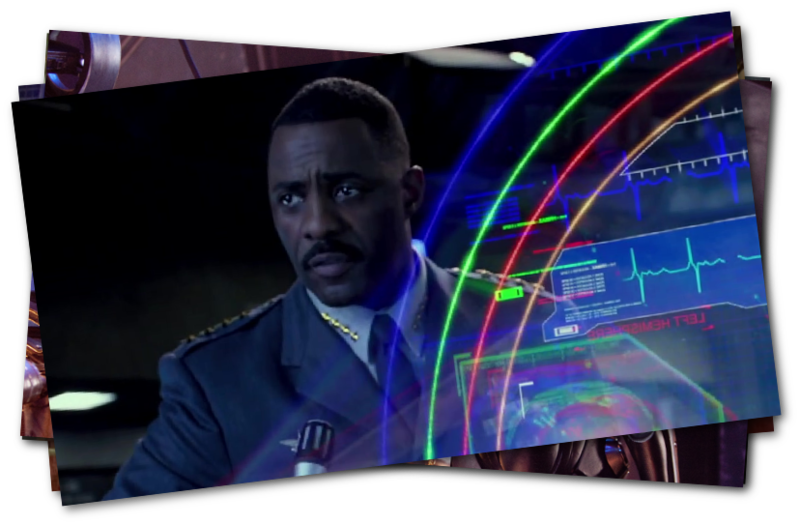 Finally there’s that thing, that thing that Stacker does, where a black British man stands in Hong Kong and shouts to Australians and Chinese people and Japanese people and everyone that we are cancelling the Apocalypse. Contrast that with this moment. Contrast that with a moment that shows a massive threat of great powers coming to our world, with intention to destroy it, with intentions to end our world, and this coalition of people, with the very deliberate, very clear sentiment of interdependence, connectivity and unity, the idea that we are all stronger together and everyone here doing something to help is doing something worth doing, and it gives me chills to think of it. One of these moments, possibly one of the most important moments of 90s Big Dumb Action Movie, said that nothing mattered but the actions of a tiny few heroes, great men of history, honoured to die and glorious in death against an unreasoning and absolute enemy that would consume all. 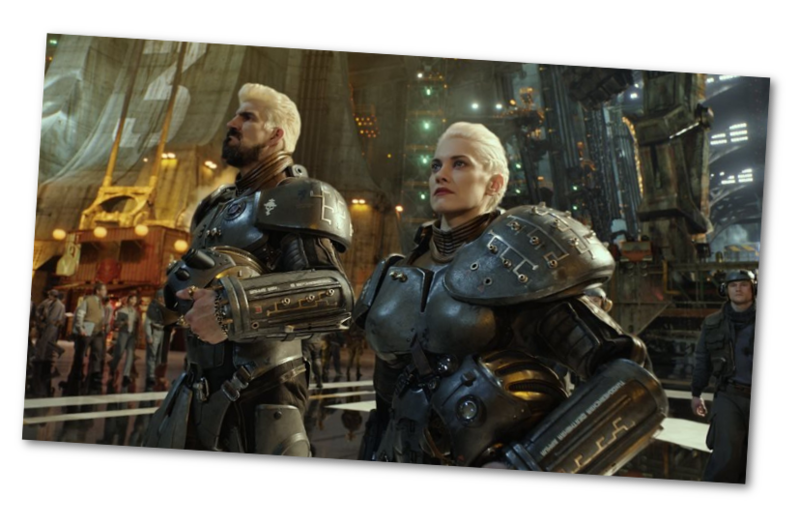 And Pacific Rim stood at the edge of a similar apocalypse and made it about what we all do to help one another. Of course it’s far from perfect because the presence of a multicultural coalition of characters designed to use a military metapower to defeat an unreasonable alien invader does cede to fascism and there’s the way the story shows no obviously queer people or the way there are no fat people and minimal disabled people and of course Mori wasn’t used the way I’d like to see her used because it would have been nicer to see her trauma be used like a weapon the way that many of the people who survive with such things do, but that said, even though this movie is not perfect it’s still really, really good.